I've been to see (absorb?) 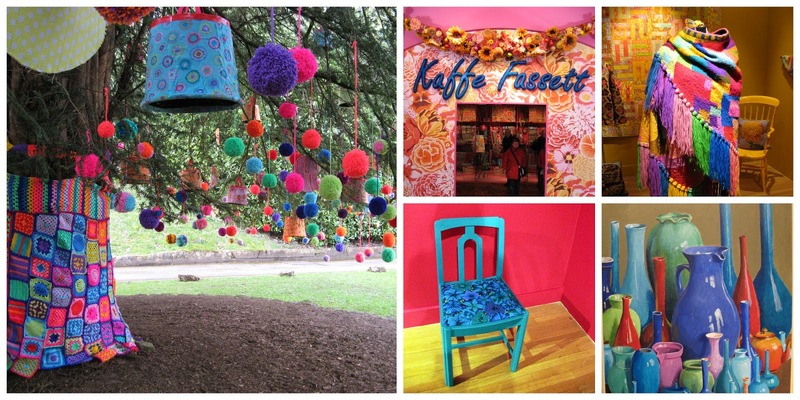 the Kaffe Fassett Exhibition at The American Museum, Bath and it was an amazing assault on the senses. Walking into the rooms bursting with colour was extremely uplifting, even the chairs were painted! Which I loved! I think the team who put this together did an exceptional job. I was VERY impressed. They even brought the exhibition outside and decorated lampposts and trees. Everywhere was a feast for the eyes and soul! 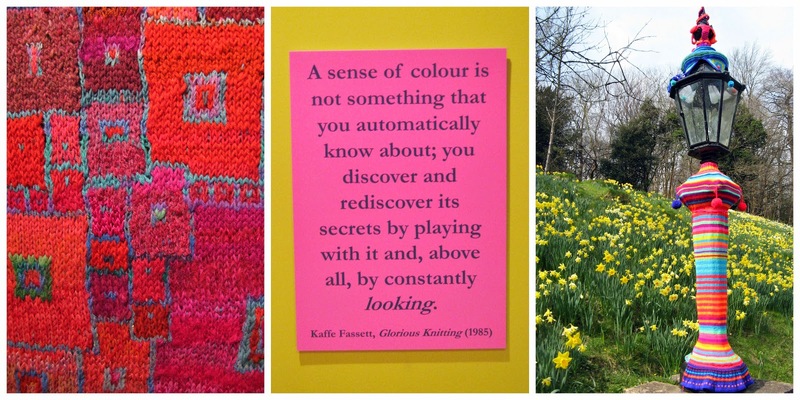 I didn't appreciate that before becoming the king of coloured textiles, Kaffe Fassett was foremost a painter, and a very skilled one. I don’t think I've ever seen a painting of coloured jugs and vases that so captured me. I wanted to drink it all in. Delicious! I loved the vibrancy, the mix of colours and also reading some of the quotes that were positioned on the wall, I’ll be adding his biography to my reading list. Having discovered the joy of reserving books through the library – that’s what I’ll do! After spending time there I walked away feeling as though I’d been wrapped in a blanket of colour and everything seemed bright and possible. Amazing what an impact colour can have. Tell me - where can you add some more colour to your life? Total raised so far £425.00!! YES YES YES! I've smashed through the £400 hurdle (YIPPEE!!) now am aiming to get over the £500 mark by 00.00 tonight! I am SOOO GRATEFUL for every single penny and all the support I've been receiving. I've also overcome the shock of the amount of injections I’m going to need (loads!) and also the costs involved. This was a BIG shock to me as it looks like this is going to cost around £300+ eek. I hadn't accounted for that. 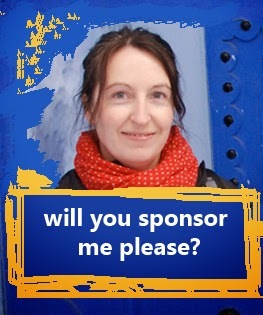 OK so I need £75 by midnight TONIGHT to get me over the £500 hurdle! Could you help me please? Oh what a fantastic exhibit, by the looks of it. I live in Canada, and our winters are so drab and bleak, I'm always craving colour by the time spring rolls around. That's still a little ways off, so thank you for this early boost to my senses. So glad it brightened you day Sarah! When will you start to see some colours appearing in your landscape? Ha yes - very true indeed Jacqui! Kaffe has broken through lots of barriers! Wow, what a rich, nourishing, beautiful feast for the visual sense. Love it! Thanks for sharing the beauty and brightness. You put it is well Lisa! I'm hoping to go back again before it closes in November. Was a real injection of colour!